We really like computer games! The bad part about computer games is that you generally get them via a giant online storefront. Purchasing things on a giant online storefront does nothing to make the Valley a better place. This fills us with guilt, and we regularly tear our shirts from our backs whilst yelling nooooo at the sky post-purchase. But we’ve found a solution! There are local people who create computer games! We spoke with Evan Rowland about Goblin Diplomat of course, but his game isn’t quite complete. No worries though, there is a Valley-area game that’s out right now for you to play! Psy High, a choosable-path-adventure published by Choice of Games, was created by a local developer! Even better, this Wednesday we’ll be featuring an interview with the creator: Rebecca Slitt, PhD! You’d probably better purchase and play through the game now so you’re ready for the interview. Speaking of PhDs: grad school is incredibly difficult. And usually in ways that it really should not need to be. Doing the hard and usually very boring work of science is enough to stress anyone out, and there’s usually a lot of other stuff piled on top of that. It’s difficult to get through a graduate program without a lot of help from a lot of different places. It is one of the toughest nerdy things you can do. That’s why this week we’re going to begin the process of adding graduate-student specific resources to the Nerd Watch. To start with, we’re going to be listing weekly support groups for graduate students. Like all new weekly events, they’ll be featured in an issue before transitioning to the Weekly Events page. We’ll be adding more resources for students in the future! Let us know if there’s any fantastic concept that you think would help people, but you just don’t have the time or resources to implement. We’re here to help! As always, be sure to check out the Weekly Events page! If you don’t look at it once a week at a minimum, The Process will begin again. And no one wants that. No. One. Woooo longest even name we’re pretty sure we’ve ever seen! A no-prize is to be awarded to Off the Wall Games! This is a 300 point sealed event. You use two Age of Ultron Wave 1 Booster packs to play, and if your miniatures do a solid job of beating up other miniatures, you get The Hulk Avengers ID Cards, and you get a limited edition Graviton figure if you’re the first, second or … Fellowship player? That’s some sort of Tennis scoring system, right? There’s a $25 entry fee! A Star Trek miniatures fighting game, based on the famed series “Star Wars” we believe. This nifty little event is based on the pretty sweet TNG Episode it’s named after! The top three finishers bring home a new Bird of Prey – the Pagh! It’s a pretty cool one! The entry fee is $5, but they have listed “good times” as “free” so that’s actually not a bad deal, you usually cannot get these sort of metaphysical guarantees. Stop by the store and play some board games! There will be a small selection to play at the store and people are welcome to bring their own games. Bring games that you want to teach! Bring games that you never have the right number of people to play! Bring games that you think might secretly turn out to be treasure maps when you play them properly! Attention-deficit hyperactivity disorder! It’s generally an impediment to getting stuff done and that’s annoying. But what about the place of ADHD in in fiction? What makes some ADHD characters memorable and some easy to forget? Well, Joan Axelrod-Contrada, an author of over 15 books for young people, has spent a year figuring out what makes ADHD characters in fiction pop! Now, she can speedily transfer that learning to you via the magic of language and powerpoint. Join everyone in the LeVanway Room of the library to see really neat photos and hear the story of Wendy Johnson’s five-month journey on the Pacific Crest Trail. To clarify, we’re pretty sure this means she was in the wilderness for five months and has effectively conquered nature. This fascinates us as much as it terrifies us. Learn her lessons, but be wary of her. To cross her is to cross the very wilds themselves. A drawing will be held for a $10 Greenfield Dollars certificate. Meet up with the lovely folks of the Western Mass Sci-Fi Meetup group! They seem nice, if you’re into that sort of thing. 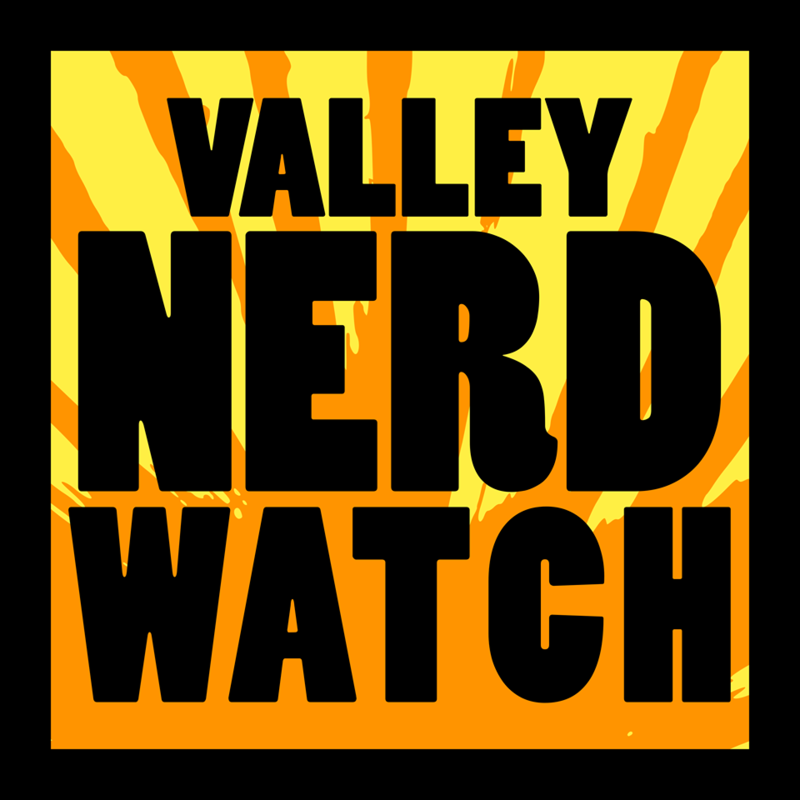 We at the Nerd Watch will always first and foremost be into… well. That would be telling. Anyway! Say hi, grab some food and drink, play some pool, watch fireworks! This is a great low-commitment way to introduce yourself to people who will probably be friendly and like talking about the media you enjoy! Good times. Completing a major project that will have a significant impact on your future is terrifying, no two ways about it. Worse, it usually involves a bunch of things that you can’t really control even though you would really like to. This group will address the sorts of anxieties that come with projects of this sort and help you work through them. To join this group, contact Jason Samlin, Psy.M., at 413-545-2337. It’s hard to talk to romantic partners, friends, roommates, and family members about grad school. It’s hard to be in grad school and think about basically any relationship except the one between you and that future you who’ll totally demand that everyone call you Doctor. Talk about how you can work things out with people who are not you in this support group. To join this group, please contact Rachel Bloom, Psy.D., or Jason Samlin, Psy.M., at 413-545-2337. If they’ve got a good sense of humor, this one is actually just a door with a note on it that says “DROP OUT”. But for real, this is incredibly difficult. Career takes such a precedence in the grad experience that it is really helpful to talk about how you can manage to fit living into the cracks. To join this group, please contact Lauren Mays, M.A., or Paige Getchell, M.S., at 413-545-2337. Watch some Marvel movies with fellow library teens! For real though, we cannot imagine a more lovely place to meet like-minded young people than watching a popular but still quite sub-genre specific series of movies at the library. We’re pretty confident if you’re the sort of teen interested in this, you’ll find a friend! Or… nemesis? They do tend to be dark mirrors. The old reliable! The standard-bearer! Once actually thought to actually teach children how to really perform ritual sacrifices in exchange for actual magic powers! Seriously, ask your nerd elders. It’s wild, there was a period in which D&D was considered significantly more dangerous than makes any danged sense whatsoever. Anyway! Go steal gold from dragons or something, it’s D&D! There are pre-rolled characters so you can hop right in! Pathfinder! The game that you play if you’re too jaded to keep playing D&D but you definitely don’t want to stray into territory that appears even remotely different to anyone not deeply steeped in the culture of RPGs. We kid because we love! Pathfinder is neat, and Organized Play allows you to adventure with like-minded people across epic Season-long stories! There’s a $5 entry fee immediately converted to store credit! Also, Modern Myths is looking for Pathfinder GMs! Contact them for details! Pathfinder and Role Playing Extravaganza! Pathfinder! Also known as the Game of Thrones, because there are lots of kings in it usually. There are going to be a bunch of excellent RPGs at this event! Join Keith Hart in playing and experimenting with a lot of different games, including Pathfinder obviously, played at levels varying from introductory to one where if you die in the game you die in real life. Next14 Days Kickstarter is Up!